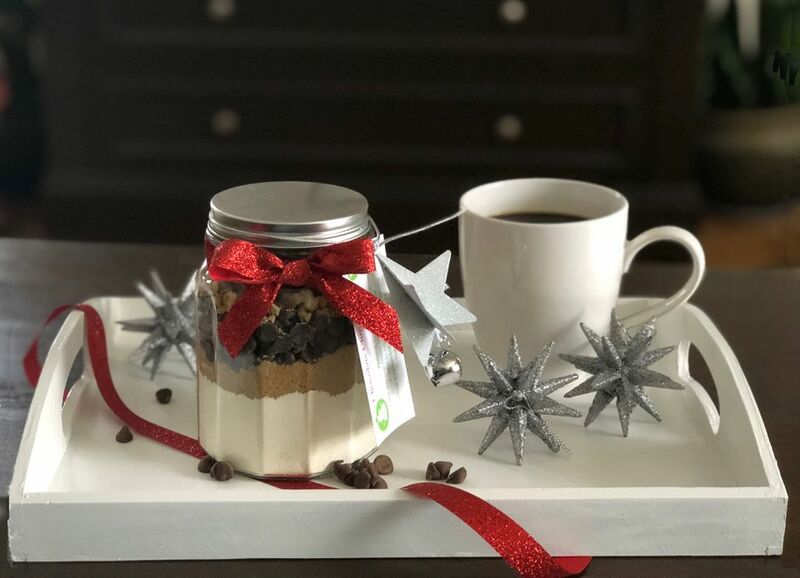 These cookie mixes in mason jars make fun and unique gifts for any occasion! Make these cookie mixes, complete with recipe gift tags, and they will be loved by everyone on your gift list, whether it's for the holidays or any other time of year. There are lots of opportunities to add your own special touches and to get creative when you make your own jarred cookie mixes. Follow the steps below to make your cookies in a jar. First pick a recipe and gather together those ingredients, along with the other supplies you'll need. Finally, you can fill and decorate the jar. Don't forget to print out a recipe gift card to give along with the jar! Start by gathering these essential supplies. You will use the same basic supplies no matter what cookie recipe you choose. Follow these simple instructions when you are ready to start filling your jars with the cookie ingredients. Pick a recipe from below and gather your ingredients. Use the instructions and tips from the recipe you choose and fill the jar. Layer each dry ingredient listed in the recipe into the mason jar. It helps to use a wooden spoon when firmly patting down each layer. Browse through the recipes below and choose your favorite to try or you can try them all. Chocolate Chip Cookies Recipe: This recipe is a mix that will make basic chocolate chip cookies. Chocolate Cookies Recipe: This recipe makes chocolate cookies with some added extras if you like. Chocolate Chip Walnut Brownies Recipe: This recipe is for brownies with nuts and chocolate chips. You can include walnuts in the jar too if you like. Make a printable tag to attach to your cookie jar craft in Microsoft Word or whatever software you are comfortable using. Find some great printable tag options here! Use whatever materials you have on hand to decorate your jars. There is no right or wrong way when it comes to adding embellishments to your cookie jar craft. These are some of our favorite suggestions to try! Cut an approximate 2-foot piece of ribbon. We used two pieces of red glitter colored ribbon. The first ribbon was wrapped around the neck of the jar, and then a bit of glue was applied to hold it in place. Then we tied a bow out of the ribbon, trimmed the tails and attached to the jar with a bit of glue on the back center of the bow. Wrap about two feet of silver metallic cord around the neck of the jar and tie into a knot. Run the cord through the top of the ornament and tie another knot. Another option is to insert a circle of fabric under the lid of the jar. Cut a circle out of the fabric that is 6- to 8-inches across. We traced around the top of a bowl. Place the round section of the jar's lid on the jar and center the fabric on that. Screw the other part of the lid in place to hold the fabric. Fluff out the fabric where it comes out from under the lid. Print out your choice of the printable recipe card/gift tag with the recipe you chose. Trim carefully around the recipe and graphic. Put a small piece of scotch tape on the upper right-hand section of the gift tag (right behind the top edge of the graphic). This reinforcement is to give it a little extra strength. Use a hole puncher and make a small hole in the taped corner. Run the metallic cord through the hole and tie another knot. Your thrifty and beautiful DIY cookie jar is now finished. Give these jars to your friends and watch their faces light up when they receive this practical gift.